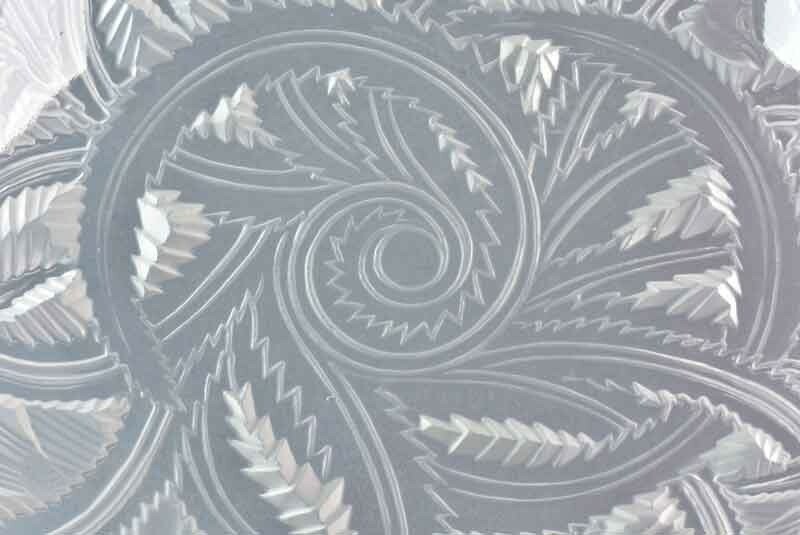 When it comes to defining elegance and affluence as a lifestyle, Lalique crystal comes to mind for most people. 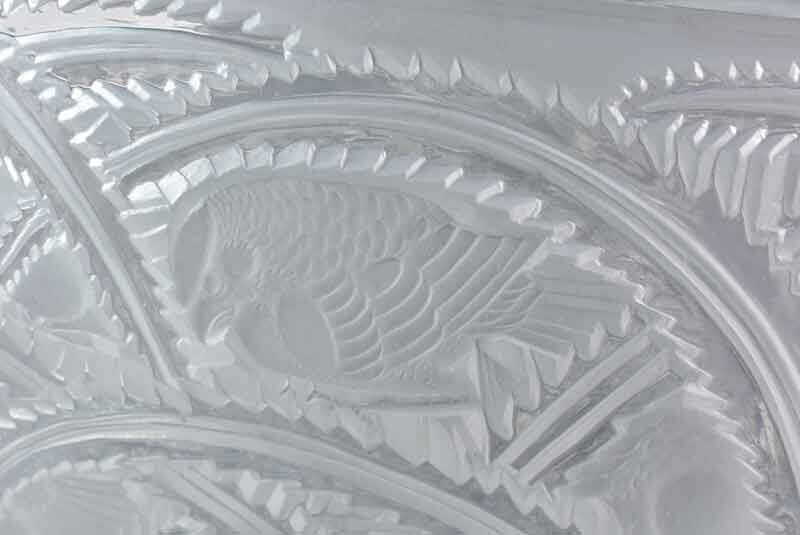 From its earliest days to present times, the Lalique Company has consistently tantalized the world with its exquisite glass and crystal depictions of themes that include flora, fauna and the beauty of the female form. They are famous for their birds especially sparrows and finches. 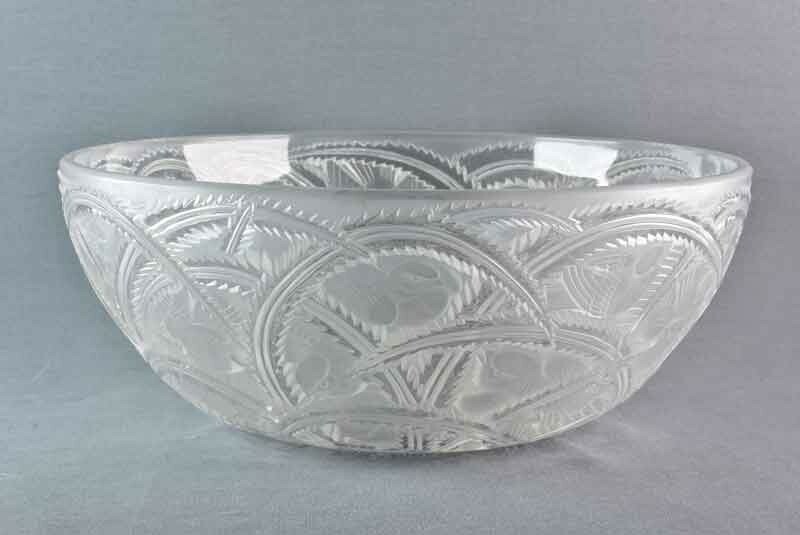 Here we have an elegant 9 1/4 inch wide Pinson Bowl. The French word Pinson means Finches. 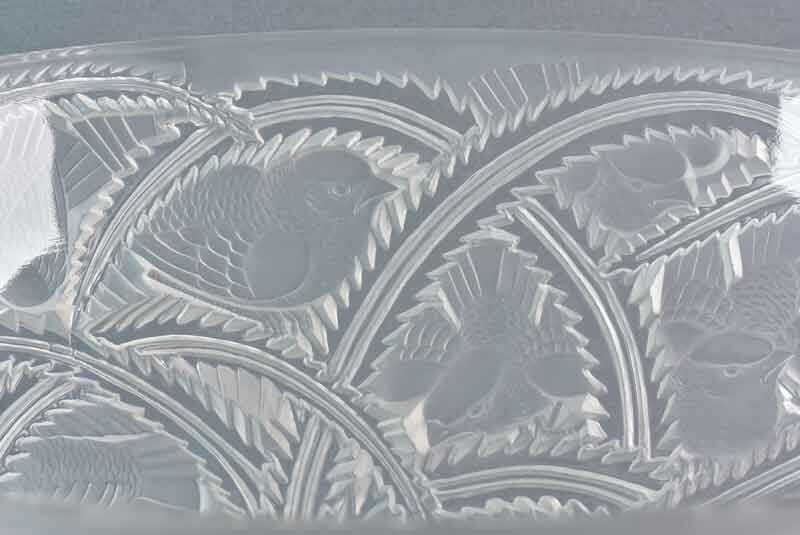 This Lalique bowl is surrounded by lovely finches in arches with abundant leaves. The finches look like little "Angry Birds" but they all exhibit exceptional detail. 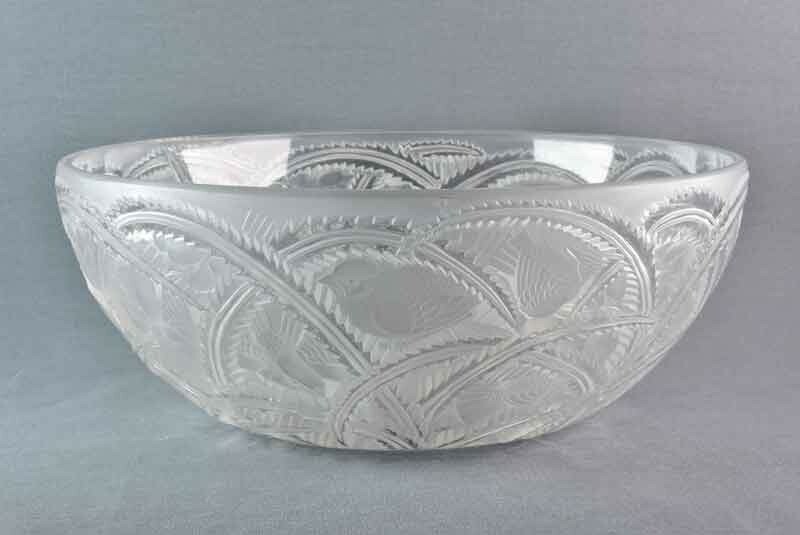 A unique display piece for any sideboard or dining table. So delicate yet so stunning! Perfect gift for any occasion or to add to your own collection. 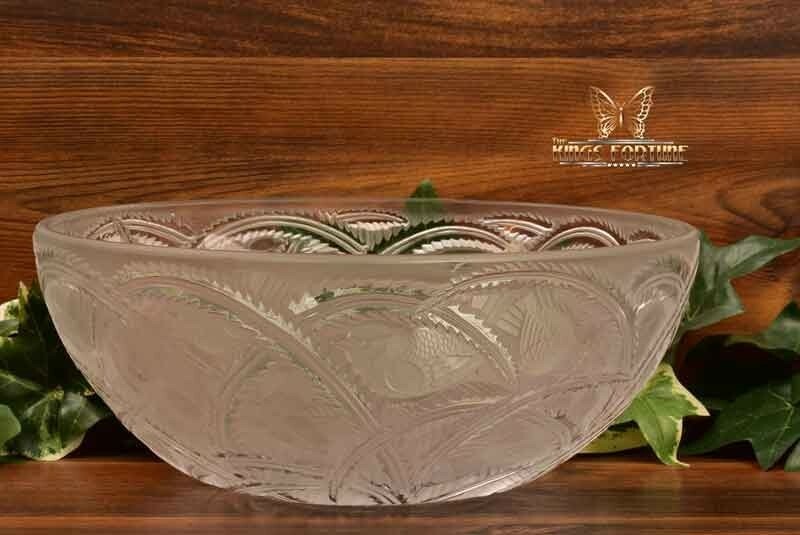 Exceptional bowl in that it is undamaged, no chips, no cracks, no scratches. 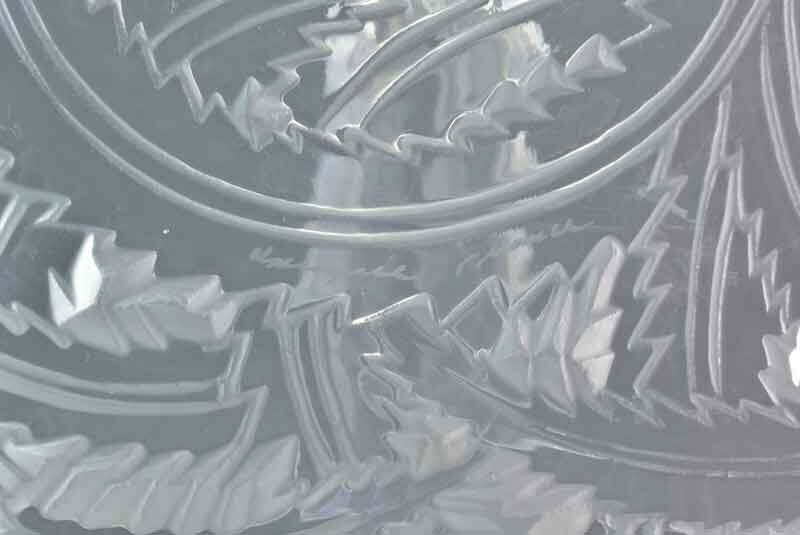 Minor wear on the inside near bottom. 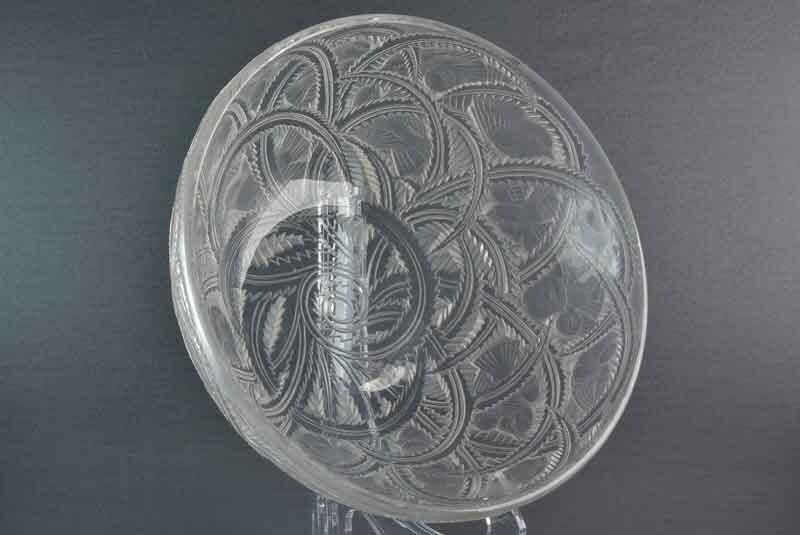 Appropriately signed Lalique France. 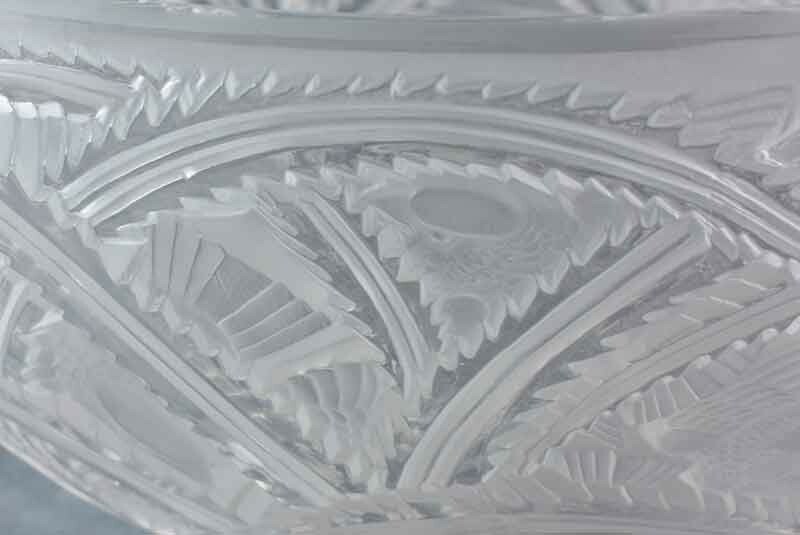 Any non-perfections are from the firing/manufacturing process. All images are original and un-edited. 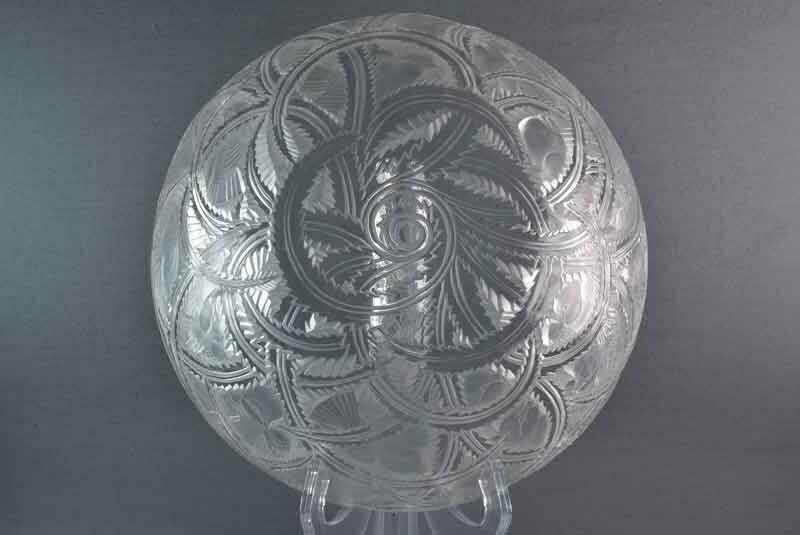 Authentic Lalique Crystal. 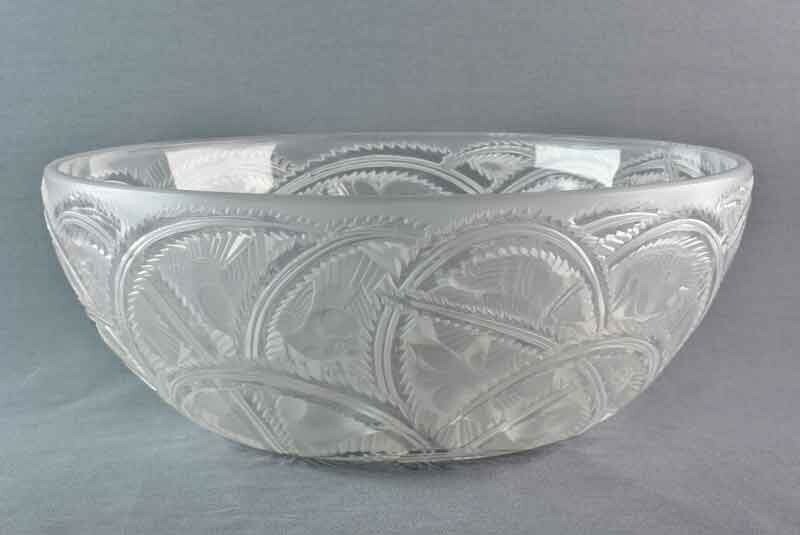 Height: 3 1/2", Base: 4 1/2", Rim: 9 1/4"